By TruePublica Editor: British Railways had been in state ownership since 1948, under the control of the British Railways Board. The reality was that privatisation had nothing to do with trying to make trains better, it was an ideologically-driven project that was actually opposed even by Margaret Thatcher who could see what a disaster it would be, which subsequently proved to be the case. Recently knighted John Redwood was at the heart of its current design as were familiar right-wing neoliberal fanatics like Portillo and Rifkind. Government White Paper was ‘strong on ideology but weak on ideas,’ said Lynn Sloman, an assistant director at Transport 2000 at the time. Private train operators have creamed off £3.5billion from running UK railways over the past 10 years and are quite often paying the pensions schemes of non-UK nation states. The result of rail privatisation in Britain has been little more than a public disaster no matter how much it is defended by the government and mainstream media. One fact alone makes that statement so. 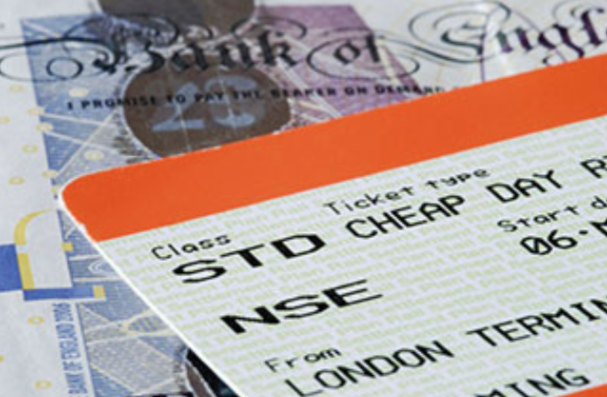 British rail passengers spend six times more on train fares than European counterparts. This now equates to an average of 14 per cent of monthly earnings for commuting to work, significantly higher than the 2 per cent seen in France, 3 per cent in Germany and 4 per cent in Spain. Companies like Southern Rail and their French owners are syphoning off cash to subsidise rail services in Paris and beyond. In 1993, The Independent wrote: “And it is turning out to be a privatisation in a class of its own. Few privatisations have had a smooth ride, but this one has had the worst yet. John MacGregor, Secretary of State for Transport, may yet find that the wheels come off his Bill before it reaches the end of the parliamentary line. Sir Peter Parker, a former BR chairman, described the plans back in 1993 as ‘half-hearted and half-baked’. The Central Transport Consultative Committee (the rail passengers’ watchdog) called this privatisation ‘a journey to nowhere’. Many in the House of Lords with influence tried to scupper it. It was the Adam Smith Institute, the aggressively free-market think-tank so deeply involved in tearing Britain away from the EU who came up with the more radical suggestion of separating the track and the train services. Recently knighted John Redwood was at the heart of its current design as were familiar right-wing neoliberal fanatics like Portillo and Rifkind. In those days, many of the reports in the press on this privatisation project reckoned that everyone would be paying more for the railway system, either as consumers faced with higher fares or as taxpayers paying higher rail subsidies. They didn’t realise both would see dramatic increases to the point of public protest almost every year as new ticket prices are announced. The privatisation drive was initially led by Sir Stephen Robson who hated British Rail with a passion. Robson served the tories in a number of roles such as Second Permanent Secretary of HM Treasury and also served as Managing Director of Finance and Regulation Directorate. The latter he was forced to resign from as a result of his involvement in the biggest banking failure in British history – RBS, from which he was also forced to step down from. He was also one of the architects of the disastrous private finance initiative that has enriched the banks at an enormous and unnecessary cost to the beleaguered taxpayer. He has had many senior roles at organisations such as KPMG, JP Morgan – both involved in various financial scandals in Britain and elsewhere. It was Margaret Thatcher’s replacement, John Major, which led British Rail being put in the party’s manifesto for the 1992 election, heavily supported, as mentioned by the right-wing press. The reality prior to privatisation was that British Rail was an efficient service, that after half a century found a good operating structure and delivered with it considerable commercial flair. National rail services have always come at a cost, especially given the constant of health and safety innovations. But you can’t it both ways, can you? For privatisation to work, it meant separating the infrastructure from the operations. This was by far the biggest and most costly mistake that subsequently enriched those involved. With 25 rail franchises offered, the loss-making rail infrastructure ended up with the government offering subsidies. Railtrack’s privatisation was a disaster in waiting – which duly happened both financially and physically after the Hatfield crash and the West Coast Main Line that went totally out of control, necessitating a state bailout. Now we have a structure that has led to a huge number of legal interfaces and agreements that had to be managed at great expense by lawyers, consultants and accountants, again, at eye-watering taxpayer cost. British Rail was then fragmented into more than 100 companies and the spiral was inevitable. Almost all of the infrastructure investment is still funded by the taxpayer and in reality is now costing (inflation-adjusted) double what it was when in public hands. Rail fares are quadruple what they would have been. In the meantime, Network Rail has now amassed debts of over £50 billion – to the taxpayer. In the meantime, one fact should annoy everyone reading this article. The concept of privatisation was about making a profit. It was not about improving the service. Those profits made by companies are quite often paying the pensions of other nation states. Sometimes, critics of nationalisation need to be reminded that Britain’s railways are indeed already partially in state ownership – just not our own state and not contributing to our own people. In 2017, it emerged that Private train operators have creamed off £3.5billion from running Britain’s railways over the previous 10 years. Instead of being ploughed back into the network, improving services and cutting rail fares, much of the profits were paid out in dividends to wealthy owners or to pay the pension liabilities of other countries. Germany’s Deutsche Bahn owns Arriva, operates Chiltern, Cross Country, Wales & Borders, London Overground and Grand Central. French state firm SNCF owns Keolis, which runs numerous franchises in joint ventures. As part of Govia, with Go-Ahead, it operates Thameslink, Great Northern, Southern, Southeastern and London Midland; with Amey it runs the Docklands Light Railway. Dutch state rail owns Abellio, runs ScotRail and Greater Anglia, and Merseyrail. China Hong Kong state owns MTR, which holds the South West Trains franchise with First. MTR will also run Crossrail. Eurostar is owned by France’s SCNF. Heathrow Express is owned by Spain’s Ferrovial, with some investment from ADI Finance 2 Ltd – directors from Spain, Qatar, USA & UK.